Ready for Spring? After a long, frigid winter, most of us are ready to watch the earth come back to life again with green plants and flowers. 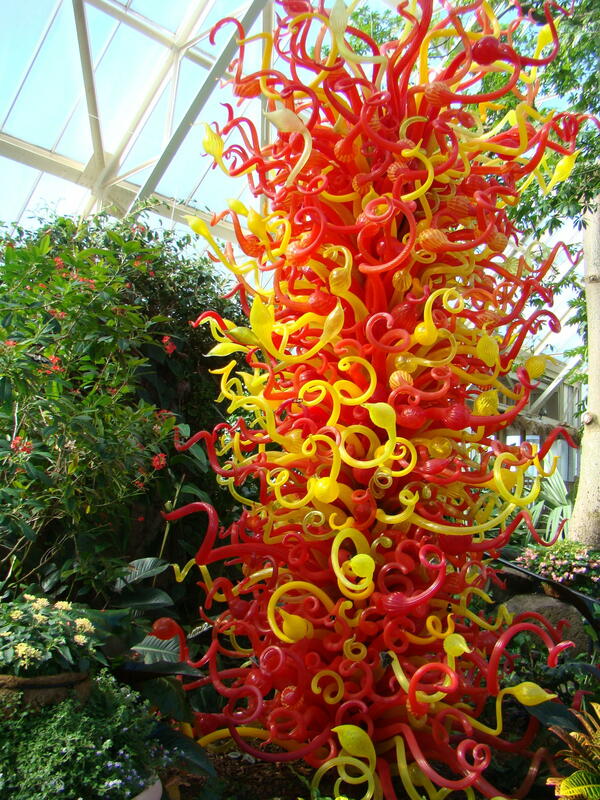 If you happen to crave the taste of spring, a trip to Franklin Park Conservatory in Columbus, Ohio will temporarily satisfy your longing for beautiful blossoms and greenery. Right now, their theme of “Blooms and Butterflies” seems the perfect way to put a touch of spring in the air. 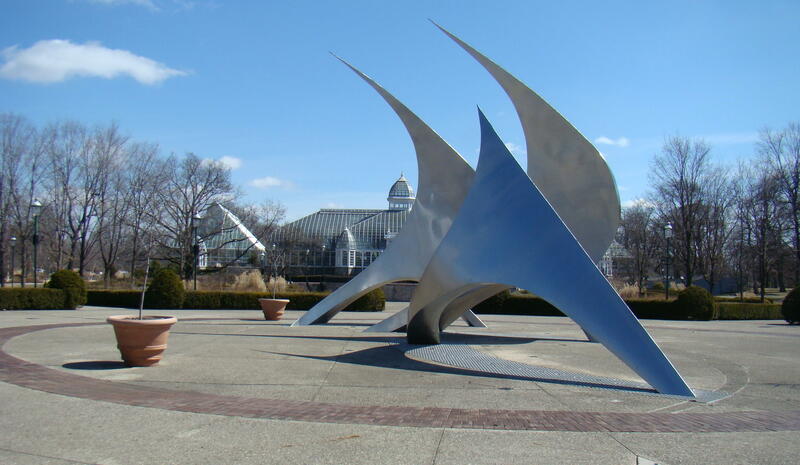 Franklin Park Conservatory provides a wide variety of experiences from botanical gardens and greenhouses to art sculptures and glass exhibits. Those who enjoy flower gardening soak up the scents and admire the picture perfect displays. Visitors enjoy blooms at the conservatory all year long, but the butterflies are a special added attraction. In the Dorothy M. Davis Showhouse, the featured blooms are “Orchids!”. Their varied orchids are much larger than most of us could hope to grow, but provide a peaceful place to relax and dream. 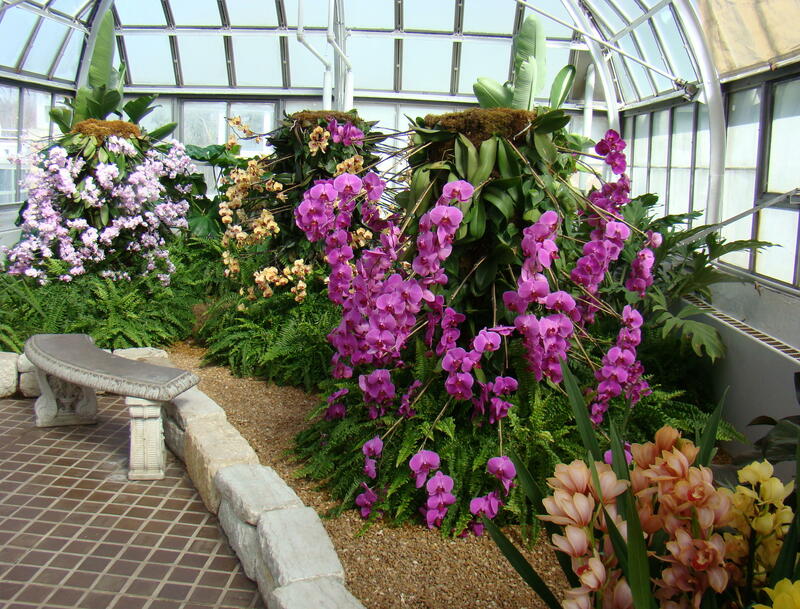 Over 1000 orchids of all sizes and hues create a beautiful scene and scent. Soon spring blossoms outside will appear, including tulips, azaleas, lilies, and rhododendrons. Every season has its floral beauty at Franklin Park Conservatory. Children are fascinated as they watch the butterflies emerge from their chrysalises. Parents have the chance to educate their youngsters on the life of the butterfly from the eggs they lay to the spinning of their protective covering before the appearance of a beautiful butterfly. Large displays of chrysalises at the Emergence Center give ample opportunity to watch the butterflies come to life. Everything from a small 1 ½” butterfly to a 12″ Attacus Atlas Moth might be making their premiere appearance as you watch. When the butterflies first emerge, they may hang upside down for several minutes while their wings dry so they can fly away and explore some nearby blossoms. They must enjoy themselves quickly as their average life span is only about two weeks. 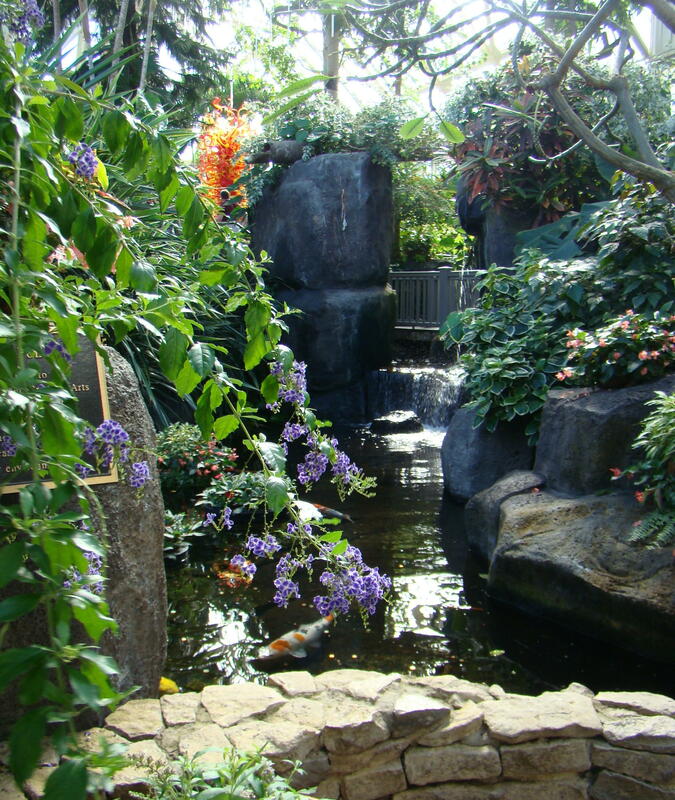 Inside the Pacific Island Water Gardens’ section of the conservatory, butterflies fill the air. At least 2000 butterflies are in this warm tropical paradise each day. 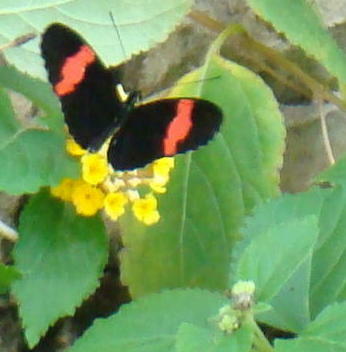 A Butterfly Release occurs twice a day so the newly free can test their wings as they taste nectar from bright tropical blooms. “The Sunset Tower” provides a gathering place for many butterflies. A favorite resting place for the butterflies was a beautiful piece of art by Chihuly, whose glass designs can be viewed throughout the conservatory. “The Sunset Tower”, in golden sunset tones, gave the butterflies a place to congregate peacefully. The next time you aren’t pleased with the weather and want to be surrounded by the beauties of nature, take a trip to Columbus and visit the Franklin Park Conservatory. As summer approaches, there is an outdoor butterfly garden to attract Native Ohio Butterflies. Celebrate the 20th Anniversary of “Blooms and Butterflies” this year with your family or friends. You won’t even think about the snow that fell during the winter! Franklin Park Conservatory can be easily reached off I-70 in Columbus, Ohio using the Broad Street Exit. Turn right onto Broad Street and the conservatory is about one mile down Broad on the left hand side. Watch for entrance signs. Beautiful and unusual sights! Great, Bev. The world is full of beauty if we take the time to stop and observe. Thanks for stopping by agian. Thanks for stoppping by. Springtime is a beautiful time in Ohio and after our winter I am certainly looking forward to it again. It is my favorite time of the year.